LIFE HACKS STOP YOUR JEWELLERY FROM TARNISHING BY PUTTING A - ProudMummy.com the Web's Community for Mums. 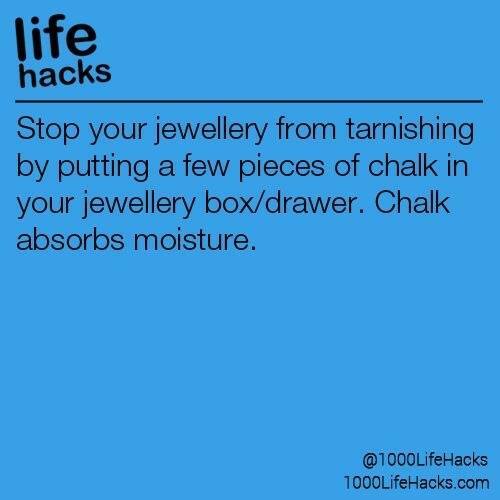 LIFE HACKS STOP YOUR JEWELLERY FROM TARNISHING BY PUTTING A FEW PIECES OF CHALK IN YOUR JEWELLERY BOX/DRAWER. CHALK ABSORBS MOISTURE.